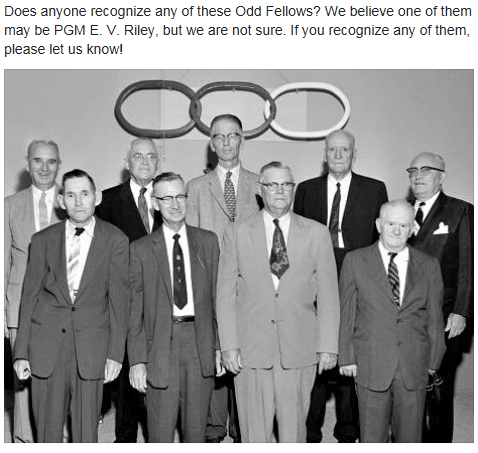 Please ﻿﻿contact us﻿ ﻿if you are able to identify the people in these photos or if you wish to donate a photo. 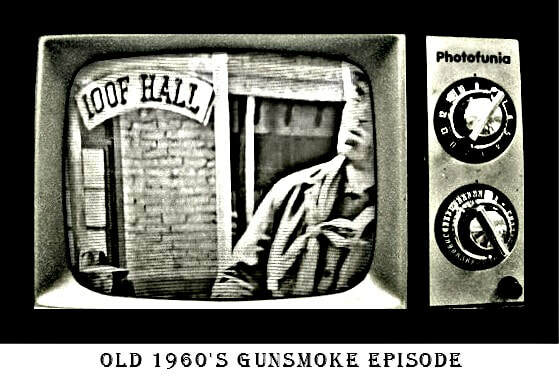 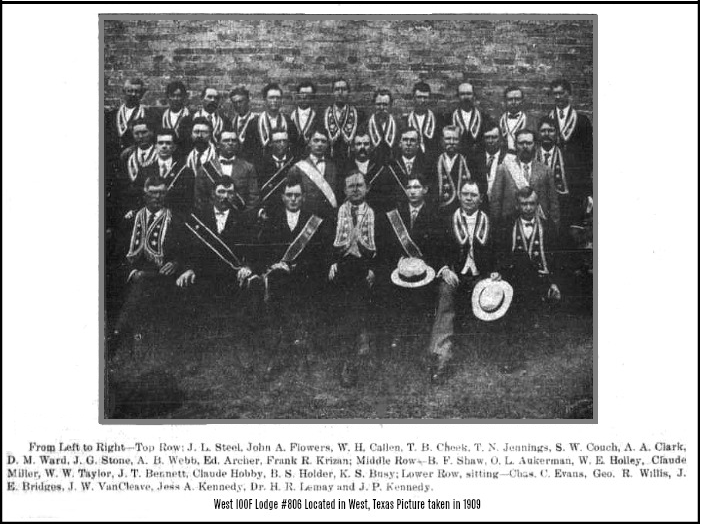 You may click on images to enlarge. 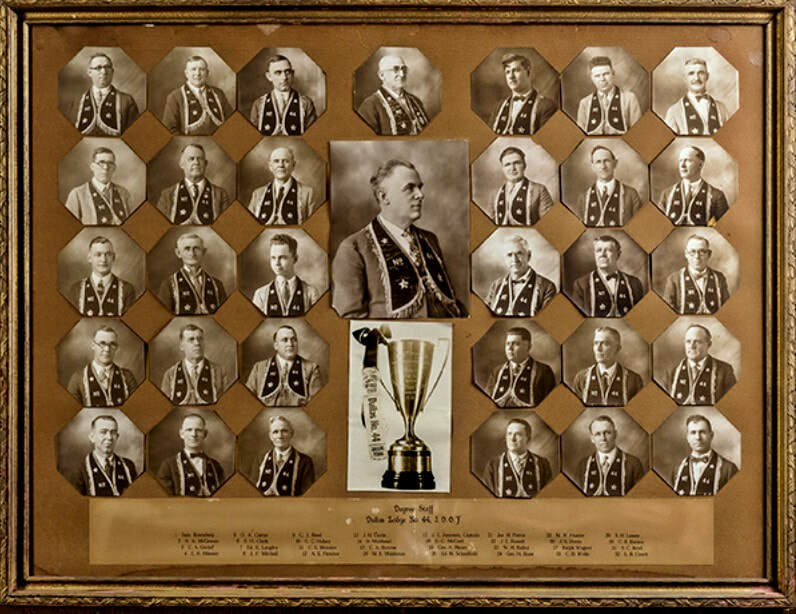 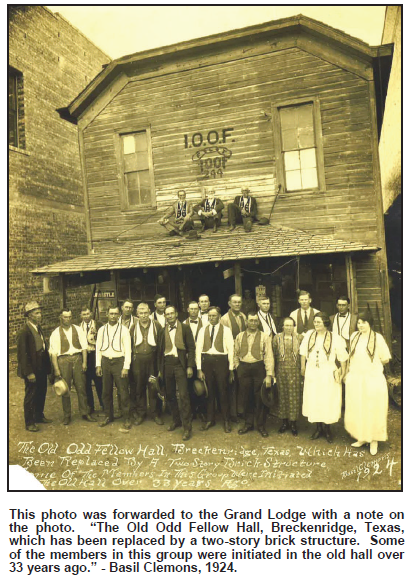 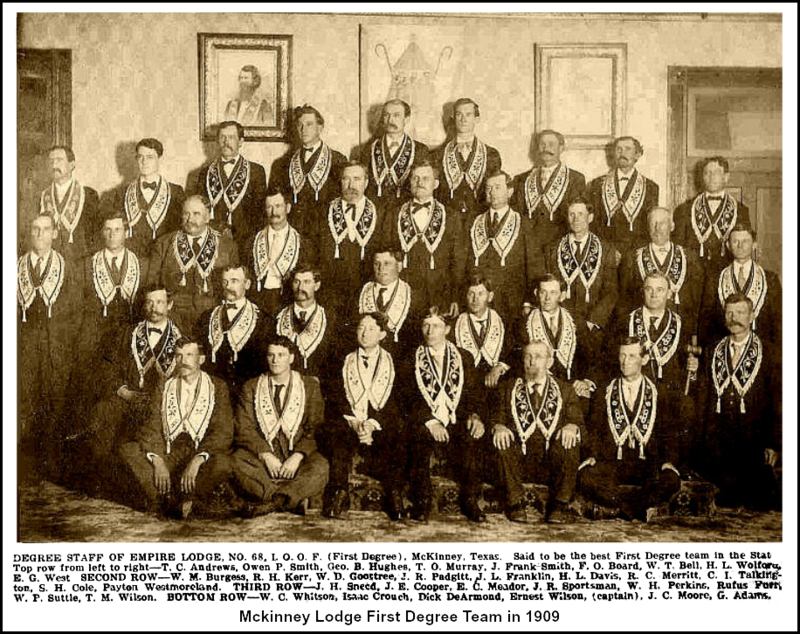 Early 20th century IOOF lodge degree team photo. 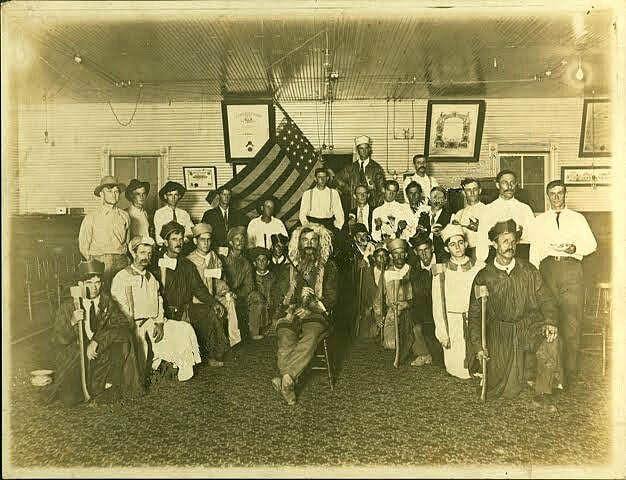 (about 1908 judging by the stars on the flag). 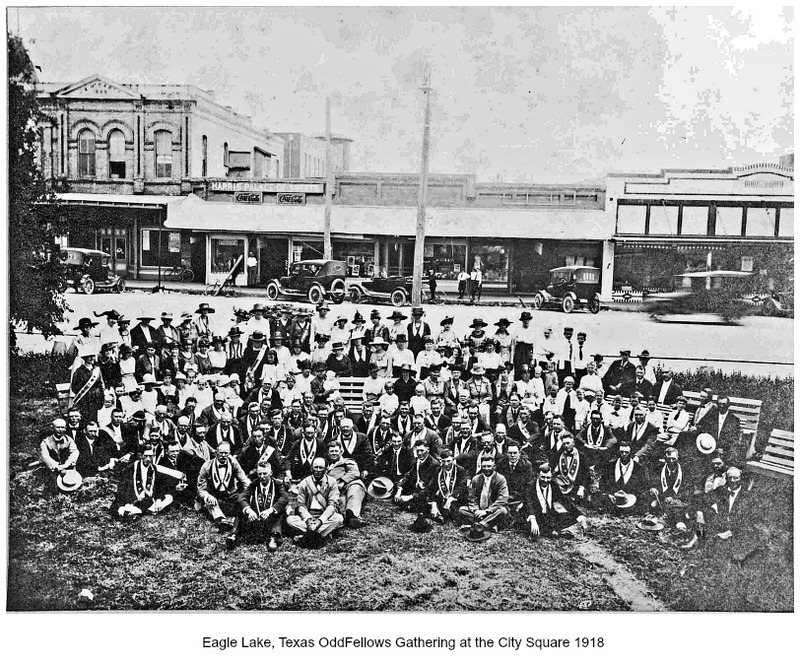 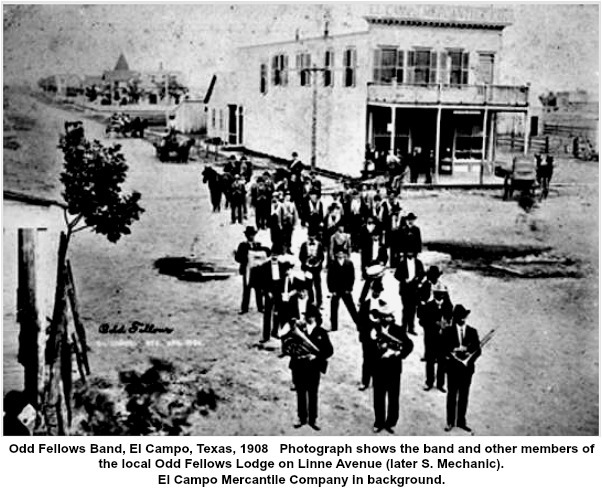 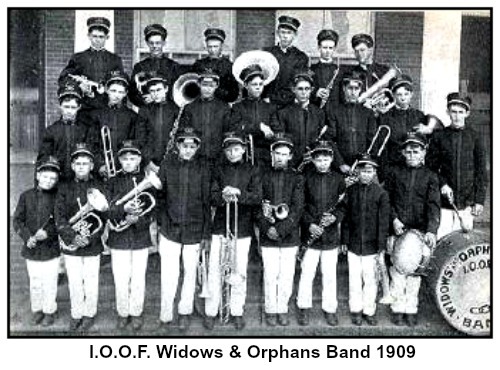 Celina Texas Odd Fellow Band - early 1900s. 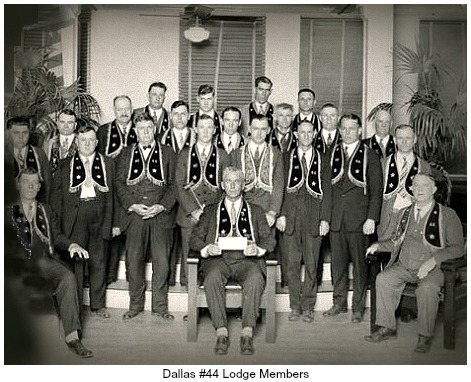 Cedar Creek camp built by El Paso Lodge #284 in 1924. 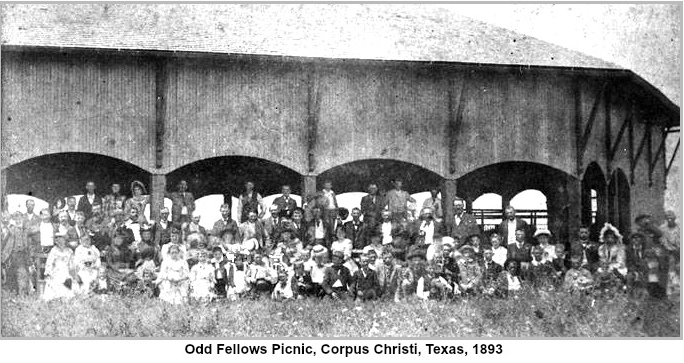 It was a summer camp for El Paso's Southwest Children's Home. 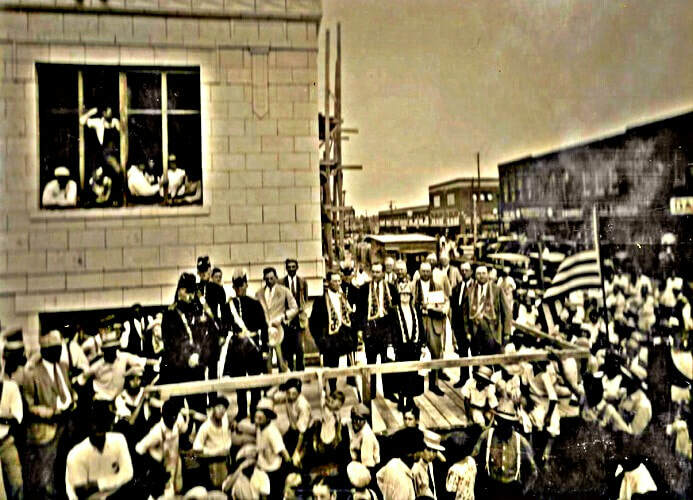 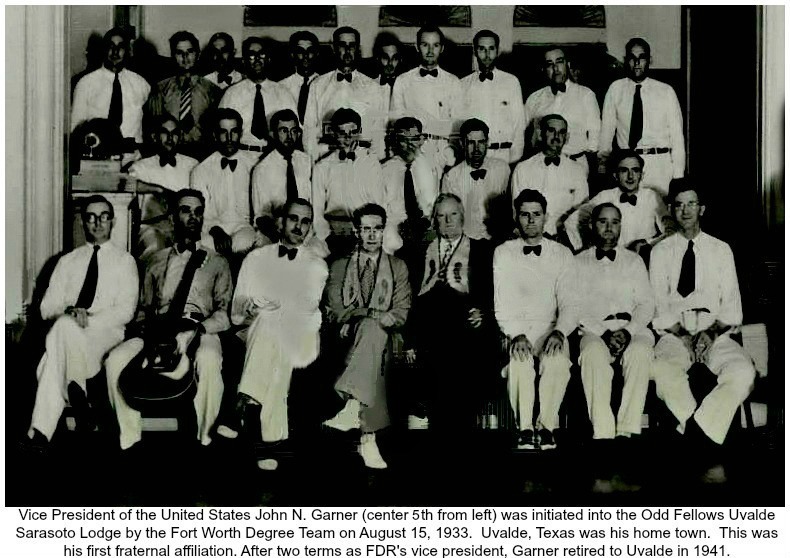 I.O.O.F of Texas laying Cornerstone at Hunt County Court House August 29th, 1928. 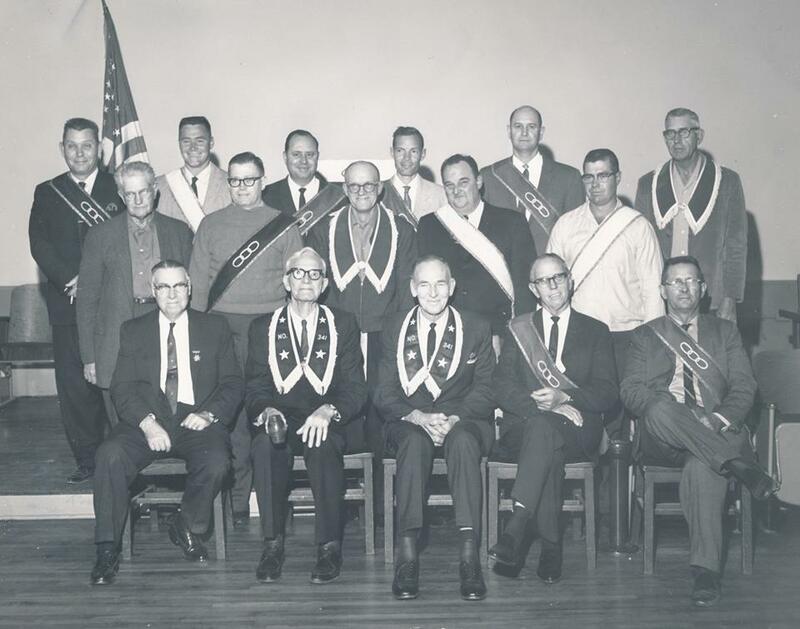 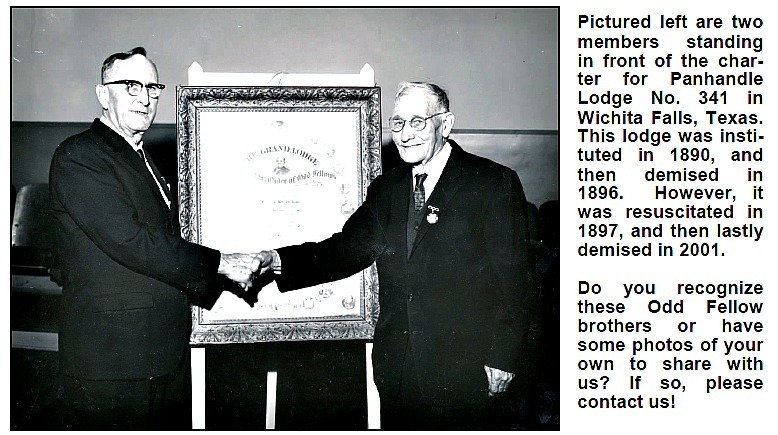 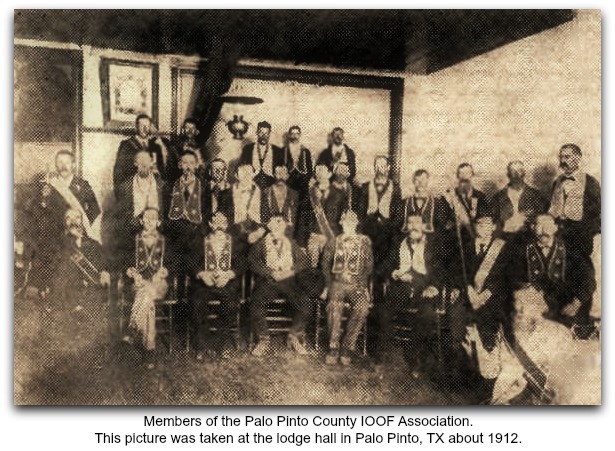 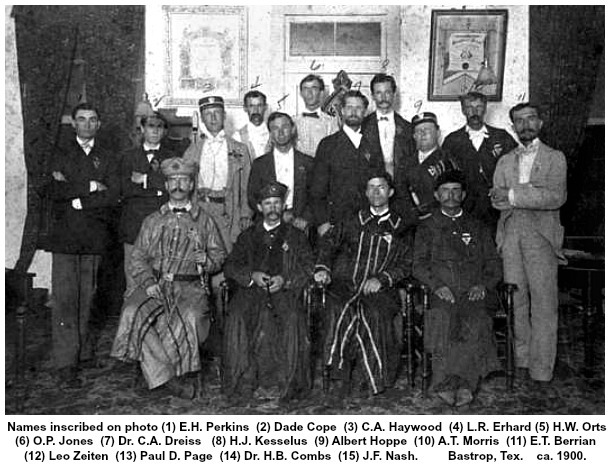 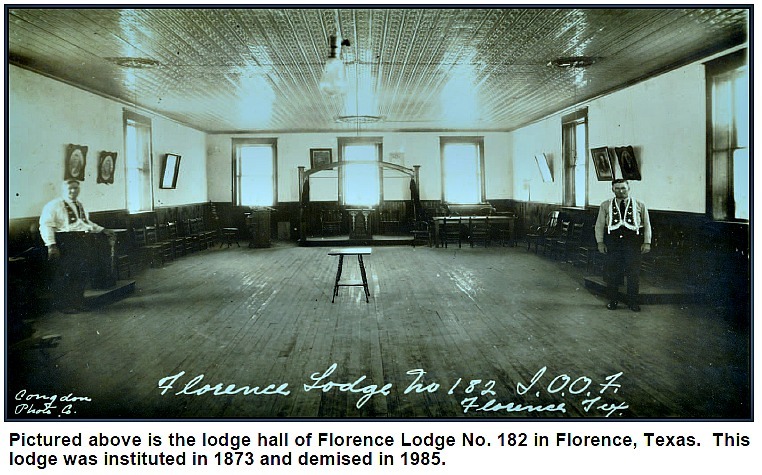 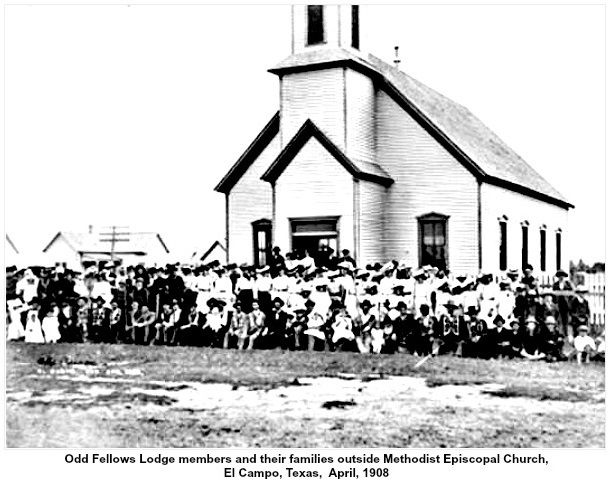 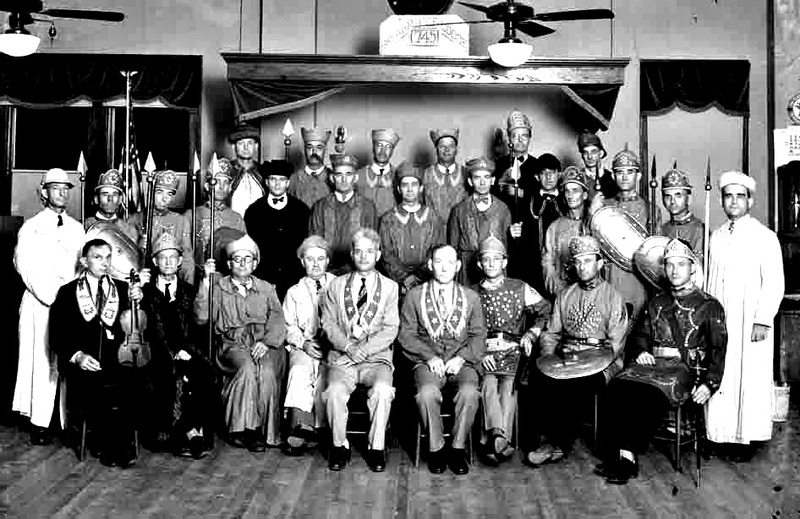 In this picture are the lodge officers of the Odd Fellows Panhandle Lodge No. 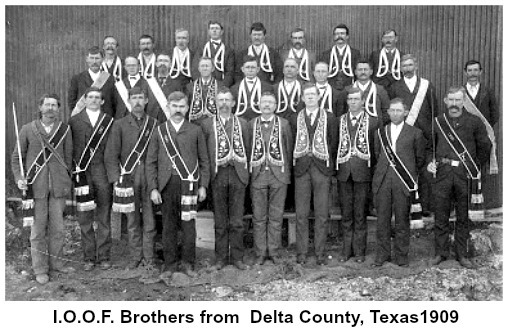 341 of Wichita Falls, Texas in 1966. 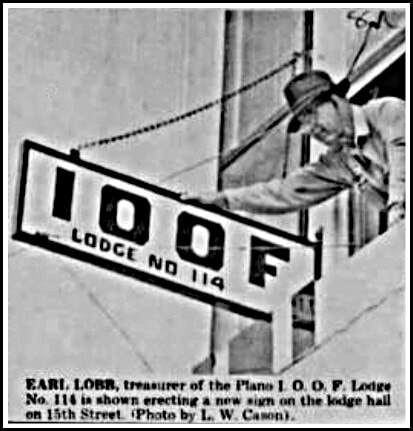 Plano Lodge #114 hanging their new sign.